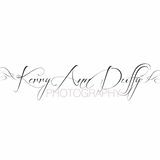 We highly recommend Kerry Ann Duffy Photography. She is a lovely lady who has taken photographs of our children. You will see by looking through her portfolio that she is truly passionate about what she does.